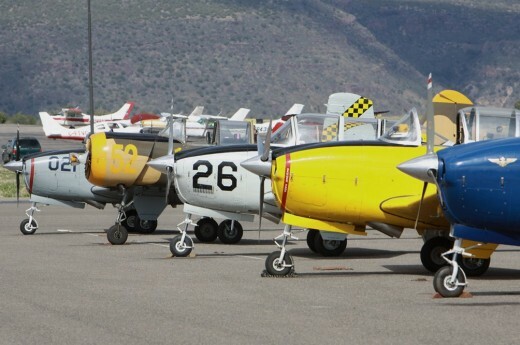 Each September at a small, nondescript airport north of Reno, Nevada, a unique, amazing and unmatched aviation event occurs. Only here can spectators enjoy world class air racing, a breathtaking airshow, and a magnificent static display. 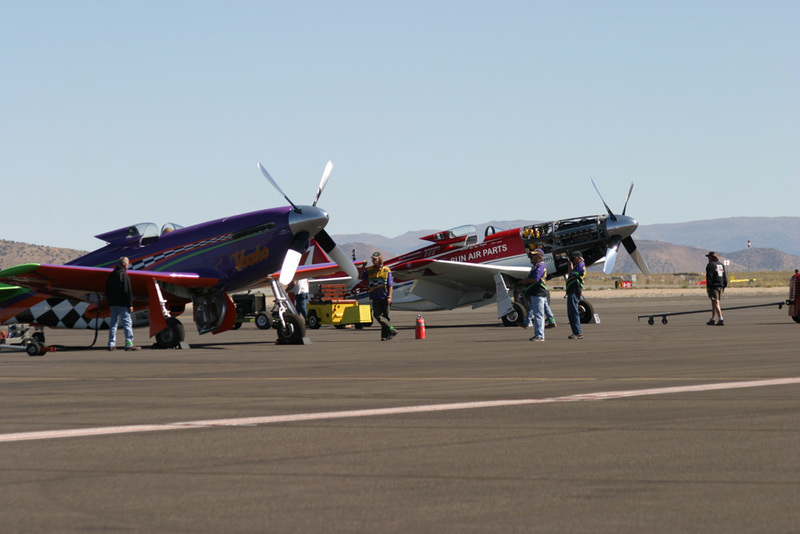 The National Championship Air Races, held every year at Stead Field, Nevada is not only one of the best aviation events in the country, but the only place to find this combination of aviation magic. The 2015 races definitely lived up to their lofty reputation as this year was, without question, the most exciting one in years. After the end of World War II, a victorious America found itself with a combination of thousands of surplus aircraft, a need for some fun after 4 years of war, a multitude of very good, young pilots and a whole lot of ideas about aircraft performance. Within a few years, many of those surplus aircraft had found their way into private hands. Given the American penchant for racing anything with a lot of horsepower, it wasn’t long before some major corporations began sponsoring aviation trophies and races. America was looking for some fun, and fun is what they got. Throughout the late 1940’s these pilots and planes competed for such legendary trophies as Bendix, Thompson, Pulitzer, and others that had been resurrected from the pre-war years. These races continued through the 1960’s, attracting thousands of spectators and creating legends. Into the 1970’s, air racing and the associated air shows continued, but began to consolidate. 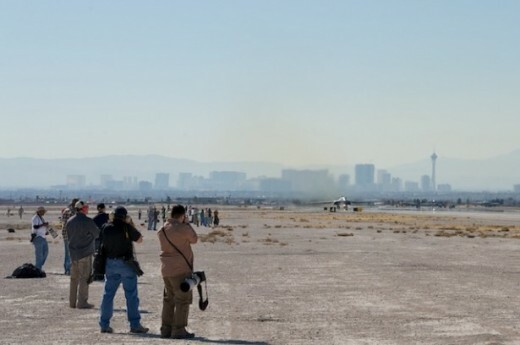 Having been organized in 1964, the Reno Air Races (as the National Championship Air Races are often called) continued the tradition of pylon racing. Other events such as the endurance racing at Mojave, California are no longer held, but the Reno Races have improved and grown into the preeminent racing event in the world. As such, it shouldn’t be missed. Adding to the reasons to attend, the airshow that accompanies the racing might be one of the best you will ever see. In the past, presentations from performers and aircraft like the Thunderbirds, F-22, F-15, Patriots Jet Team, and more have made this the place to be during the middle of September. Of course, the near perfect weather doesn’t hurt either. 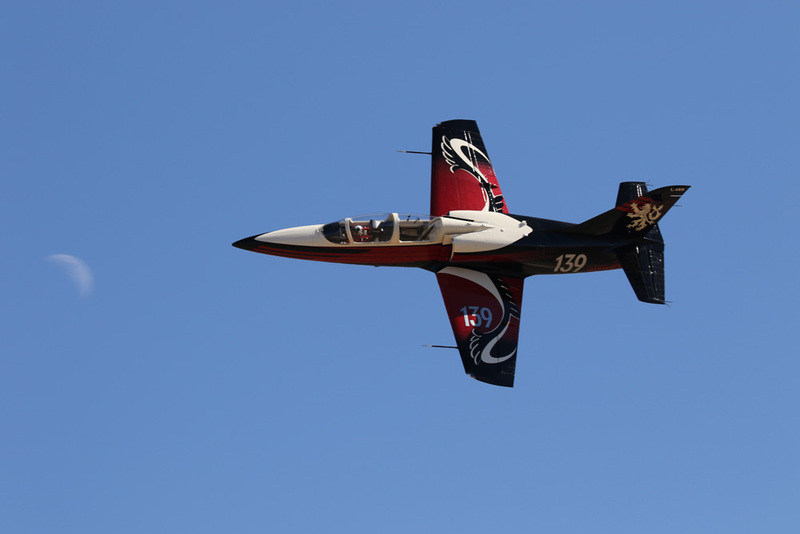 This year, featured flight demonstrations were performed by the F-16 Viper, David Martin and the sensational Tora! Tora! Tora! demonstration team of the Commemorative Air Force. By far the loudest and fastest of the flight displays, the F-16 once again proved why it is the best all-around fighting aircraft in the world. Flying with tight turns, rip-roaring climbs and plenty of chest-vibrating, grin-inducing, pride-invoking afterburner, there was no question who was top dog for noise and speed. Then again, David Martin might have something to say about that. While his CAP 232 aircraft might not have an afterburner capable of splitting the sky or fly supersonically, it does, however, turn, loop and roll faster than most humans could endure. Not only does David endure the massive G-loads of his incredible aerial routine, but he masters those Gs and his aircraft as only a pilot with his experience can. Easily one of the best aerobatic performances to be seen at any airshow, anywhere, David makes flying at the limit of controlled flight look easy. For those who attended either Saturday or Sunday, the display which is both rare and revered, reminded every spectator, young and old, as to why we enjoy the blessings of liberty. 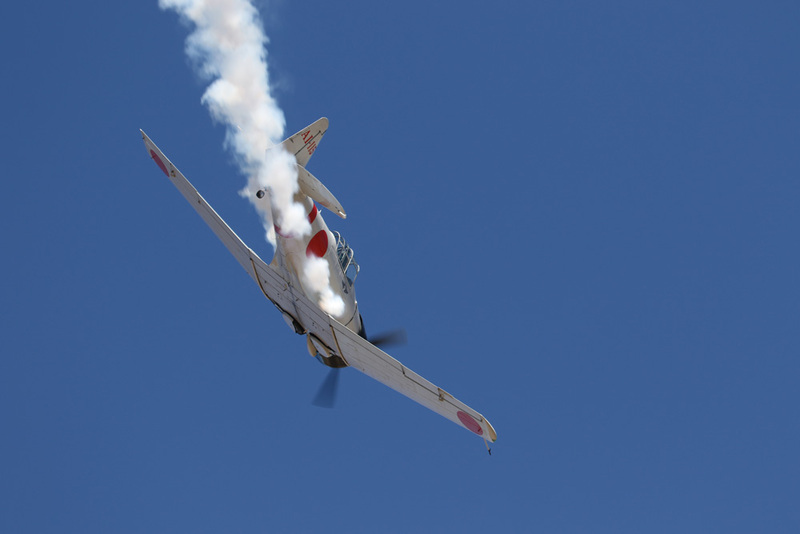 Performed by a special squadron of the Commemorative Air Force, the Tora! Tora! Tora! airshow is simply, in a word breathtaking. Flying aircraft originally built for the movie Tora! Tora! Tora!, about the attack on Pearl Harbor on December 7, 1941, the performers reenact that fateful morning with spectacular intensity. While the historically accurate aircraft dive and swoop through the sky, and the announcers narrate the history of the attack, a massive pyrotechnic display erupts with fireballs, explosions and thunderous booms. Indeed, watching from the grandstands, through the noise, smoke, fire and aircraft all around, I’m sure I wasn’t the only one who paused to see the flag of our country flying proudly. Given the intensity of this reenactment, one can only imagine the Hell that was that day. The Tora! Tora! Tora! squadron landed to raucous applause and a standing ovation. Besides the airshow performances and wing to wing racing, the “Drone Zone” proved to be incredibly popular. Regardless of opinions, there is no denying the fact that Unmanned Aerial Vehicles, or UAVs, (commonly referred to as drones), are not only here to stay, but will become an ever-expanding component of our airspace. The Drone Zone featured interactive displays where people, both young and old, could learn about and even try their hand at flying UAVs. Indeed, the wide variety of technology available for viewing and education ranged from the world’s smallest quad-copter to a fully autonomous aircraft capable of landing on water and used for firefighting. Participants had the opportunity to learn about UAV education, technology, design, piloting, and the future opportunities that will no doubt become available in the coming years. 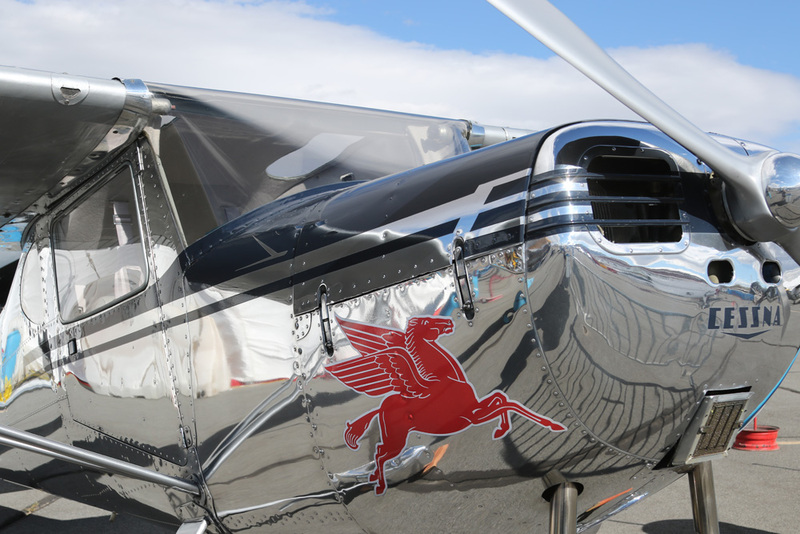 Near the Drone Zone, the National Aviation Heritage Invitational provided some of the most perfectly preserved and restored aircraft in the county for all to see. Everything from warbirds to civilian aircraft, and bi-planes to modern aircraft are present at this invitational only event. More than once, a parent or grandparent was overheard speaking to a younger person about one of these aircraft, especially if they flew and fought in one. Such opportunities of history across generations is fleeting. Included this year, the Perlan glider fascinated everyone. The team hopes to set a world record flight of 90,000 feet, but what makes it truly impressive is that this airplane has no engine. Also among the aircraft, the Berlin Express, a P-51, was easily one of the finest warbird restorations ever undertaken. For anyone who appreciates a finely restored and preserved machine, the NAHI area is sure to impress! As if there wasn’t enough to experience, the access a spectator has to pilots and crews is unequaled. Here, someone ranging from an experienced pilot to only a child with the spark of flight in their eyes can meet a world champion, an astronaut, a fighter pilot, warbird restoration specialist, mechanic or many other highly skilled people involved in aviation fields. By simply entering the pits, your aviation immersion and fun skyrockets. For those who love anything aeronautical, this is as good as it gets. Possibly at no other aviation event can someone shake hands with a former astronaut and Top Gun instructor, yet “Hoot” Gibson might be one of the most gracious people you could ever meet. 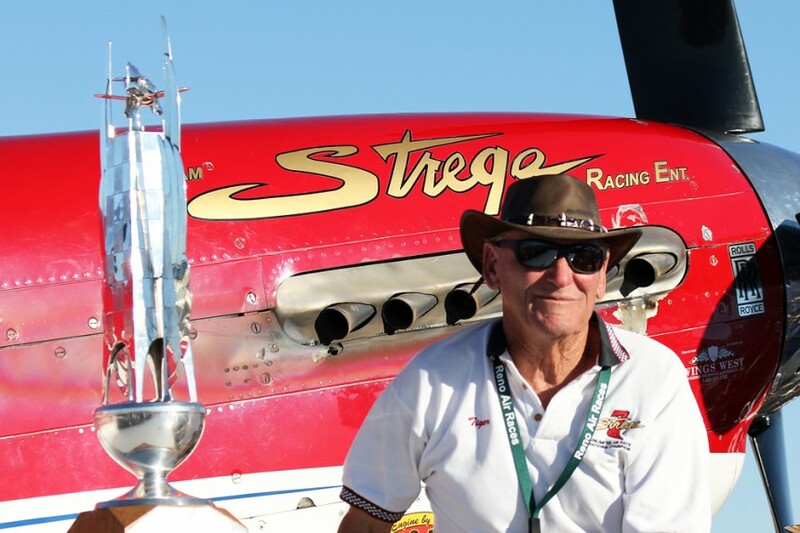 How about a world champion air race pilot? Just shake hands with Steve “Steve-o” Hinton. Ever want to know something about a British built Sea Fury? The Sanders crew are the people you want to talk to. Nowhere else can a spectator get so close and be a part of the airshow and racing experience. 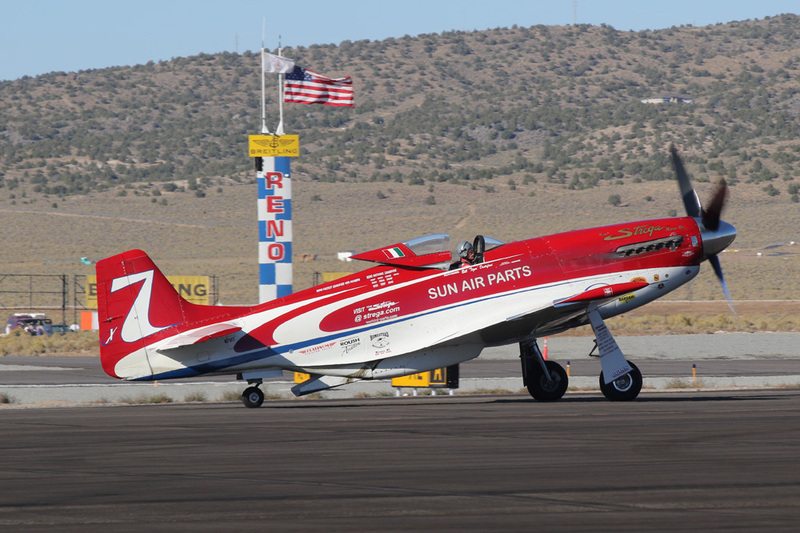 While this might be an awesome airshow in its own right, and some of the best “Fair Food” on the planet, the Reno Air Races are still about the excitement of air racing. 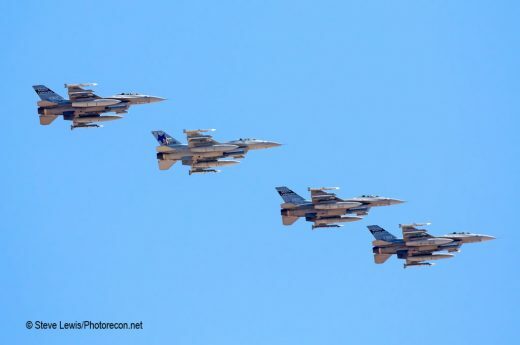 Six classes of aircraft compete against each other, with each class connecting a storied history with newer generations of participants and audiences. Beginning early in the morning, the F-1 class might contain the smallest planes, but they are big on competition. Each aircraft must adhere to a very strict set of rules governing most aspects of the engine and airframe. The result is a lot of innovation and a lot of very tight competition. 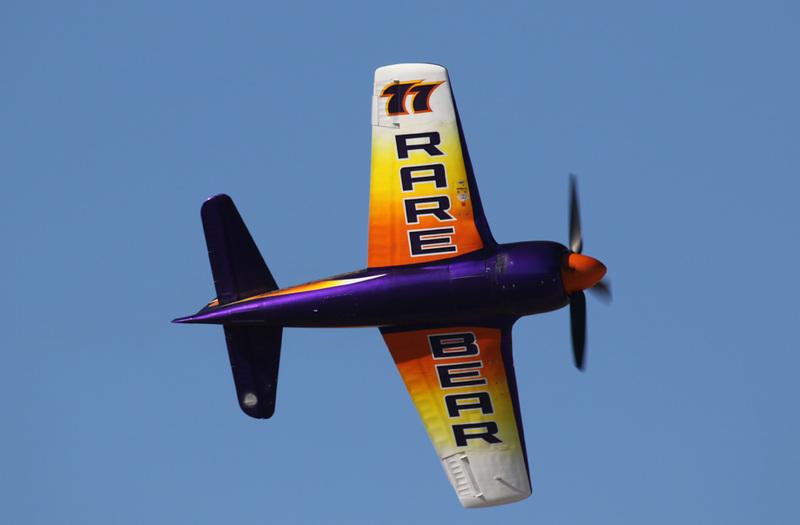 Following a similar recipe as the Formula 1 class, the bi-plane class proves once and for all that bi-planes are not boring or slow. Incredibly entertaining to watch, these two classes are never to be missed. Generating plenty of smiles and a lot of noise, the T-6 class chewed through the air in their traditional fashion of big airplanes and spinner-to-spinner racing. Nearly as tightly regulated as the F-1 and Bi-plane classes, the thundering T-6’s race wingtip to wingtip, pilot vs. pilot. More than a few jaws drop when someone mentions that each of these aircraft was actually designed as an advanced trainer during WWII. Things really start to get exciting when the Jet class takes to the skies. This year saw mostly L-39 “Albatross” jet trainers competing at over 500 mph. Open to any aircraft without an afterburner and a wing sweep of less than 15 degrees, this year featured a rare British built DeHavilland Vampire. Streaking around the pylons, these jets provide some amazing racing, with lots of lead changes and maneuvering for position. When the jets are racing, it’s anyone’s guess to who might take the checkered. However, for all the excitement and energy of the other classes, it’s the Bad Boys of Air Racing who steal the show. The Unlimited Class aircraft are, without a doubt, the most heavily modified, powerful, sensational and popular aircraft at the races. With a history going back to those surplus war aircraft and trophies of the post-war years, the Unlimiteds bring the excitement, rivalries and anticipation which people from literally all over the world come to be a part of. The airplane lineup this year featured fan favorites like the current champion Voodoo, Strega, Rare Bear, 924, Argonaut and Dreadnaught among others. Flying the aircraft, Steve Hinton in Voodoo looked strong early in the week, as did Stu Dawson in Rare Bear. Not to be outdone, and coming into the week strong and fast, Robert, “Hoot” Gibson was tasked with controlling Strega. As an aside, another fan favorite, Precious Metal suffered a ground fire while enroute to the event. We are happy to report the pilot, Thom Richard, was uninjured, but the aircraft is extensively damaged. In true Team Precious Metal fashion, the team still arrived, assisting with the effort of another racing aircraft (the F-1 “Hot Stuff”), and enjoyed a massive groundswell of support. It goes without saying, if Precious Metal can be saved, there are plenty of people willing to help. As the week progressed, the racing got faster and more competitive. In the Unlimited class, anticipation was high for the first time in many years, since Voodoo, Strega and Rare Bear entered the last two days of racing healthy and in good positions. The crowd, air race fans who love the sport, could only guess who would win this year. The racing was just too close. Strega had run out to an early lead during the week. Voodoo was holding on with Rare Bear clawing at her tail. Needless to say the final race on Sunday was shaping up to be a nail-biter. These three aircraft are the fastest propeller driven aircraft in the world. The engines of the Unlimited Class Gold aircraft coughed, sputtered, popped and crackled, clouds of smoke billowing backwards as they started before the Unlimited Gold race. Anticipation was higher than recent memory. People from all over the country, and the world, cheered for their favorite pilot and plane during the takeoff. As the race commenced, there was no question Strega was going for the win. Pulling out into an early lead, Hoot Gibson held the highly modified P-51 Mustang to a tight race course, besting 500 mph on his second lap. Behind him, Voodoo (another P-51) and Rare Bear, (a Grumman Bearcat) shrieked and roared past the home pylon. All-around nice guy Dennis Sanders chased them down in Dreadnaught, the only R-4360 powered Sea Fury in the world. In short, that’s a really big engine on a really fast plane. Thousands of people cheered as each plane growled in front of them. Half way through the race, collective gasp and then sigh of relief swept over the grandstands when Steve Hinton pulled Voodoo out of the race. Sensing a recurring, concerning noise in the engine, Steve decided better to be safe than sorry and landed Voodoo without incident. With Voodoo out of the race, Rare Bear slid into second place and Dreadnaught moved up to third. There was no catching Strega though, and the former Top Gun instructor and astronaut Hoot Gibson claimed his first Reno victory. His smile said it all, and when asked which was the biggest thrill… piloting Strega or the Space Shuttle… he said that they were equal. Now that’s saying something. And so it was at the National Championship Air Races. The fastest motor sport on Earth added to its long and storied history, one full of legendary pilots and planes, and with many more to come. 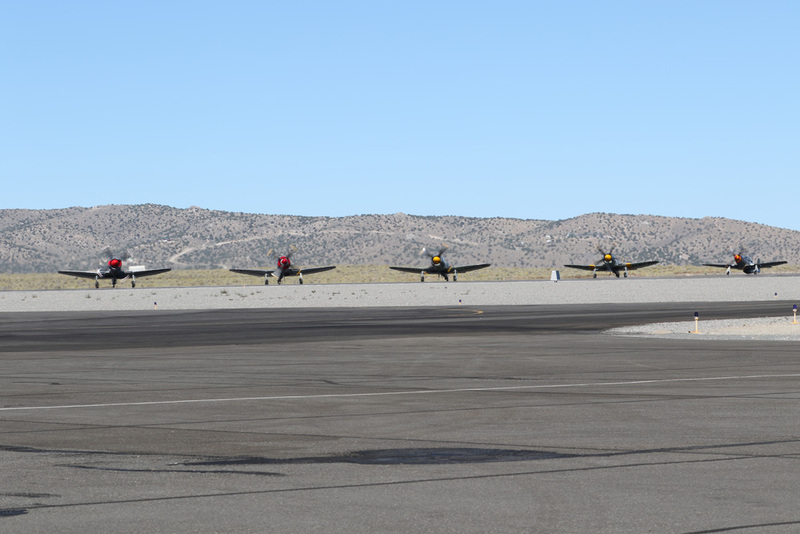 While there are other airshows around the country that are awesome and worth attending in their own right, nothing is quite like the National Championship Air Races in Reno, Nevada. It’s an experience which is never the same regardless of how many times someone has made the journey. The racing, its history, the exceptional airshow and excellent static display creates an opportunity for generations young and old to connect, whether they are family or anyone who enjoys an excellent aviation event. Perhaps one of the more impressive and important results of being at the Races comes in the inspiration to follow a dream of aviation. 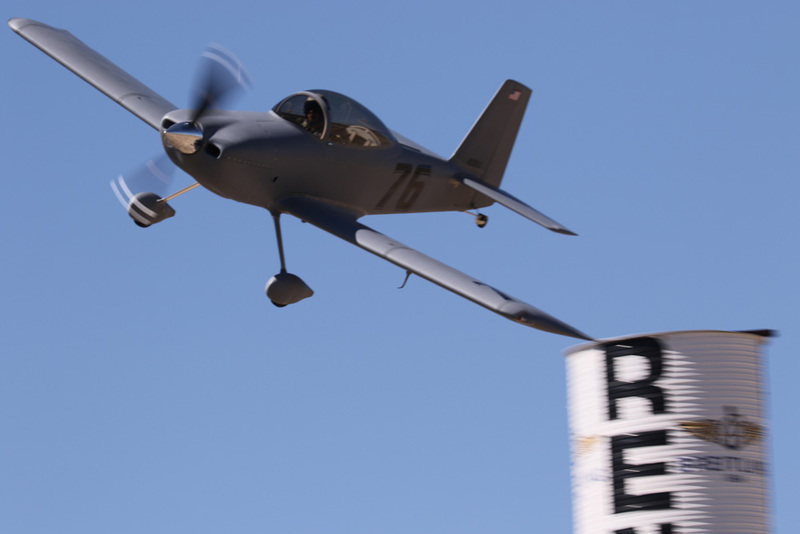 Without question, the immersion and close personal contact available at the Reno Air Races only serves to ignite and fuel any fire within an aviation-minded person. There’s already eager anticipation for next year’s event, planned for September 14th through the 18th, 2016. 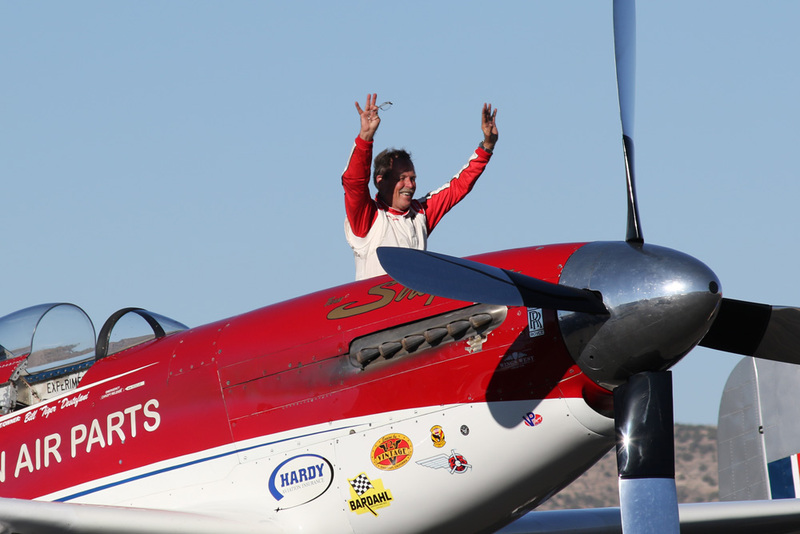 The racers, fans and aviation enthusiasts – anyone and everyone – will converge on the Nevada desert to be there, when man and machine split the sky in the quest for Reno Gold at the Altar of Airspeed. I can’t wait!